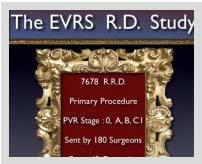 The name of the society shall be: „European VitreoRetinal Society“ (EVRS). It is registered in Frankfurt am Main, Germany. It has no party political or religious affiliations. Its activities are confined to the continent of Europe. In case of registration it will carry the name of „European VitreoRetinal Society e.V.“ Its liabilities are limited to the society’s net worth. The business year is the calendar year. The European VitreoRetinal Society serves to promote of vitreoretinal surgery and the therapy of vitreoretinal disease and to represent of the interests of ophthalmologists active in vitreoretinal disease in Europe. The European VitreoRetinal Society pursues exclusively and directly charitable purposes within the meaning of sec. 51 of the German Fiscal Code. 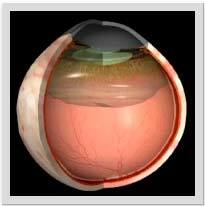 providing professional and scientific support vitreoretinal surgery and the treatment of vitreoretinal disease. The European VitreoRetinal Society is engaged in altruistic activities; it does not primarily pursue self-serving purposes. 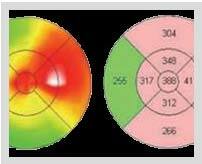 Resources of the European VitreoRetinal Society may only be used in accordance with the statutes of the European VitreoRetinal Society. Members may not receive any shares in profits and in their capacity as members no other payments out of the funds of the European VitreoRetinal Society. No person may be given payments which are contrary to the statutes of the European VitreoRetinal Society; neither may any person benefit from unduly high reimbursements. In the case that the tax-favored aims pursued so far cease to exists, the funds of the European VitreoRetinal Society shall be transferred to the Christoffel Blindenmission (www.cbm.org). The language of communication at official gatherings of the European VitreoRetinal Society and in its internal written communications is English, unless use of the German laguage is mandatory due to statutory regulations. 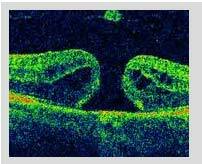 Natural persons who are of age can become members of the European VitreoRetinal Society. Regular membership is open to ophthalmologists who have completed their training and whose professional activities centre on patient care, teaching or research in the field of vitreoretinal disease. 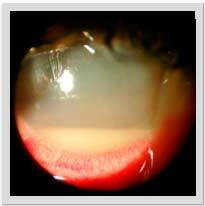 They must be active in the field of vitreoretinal surgery or the treatment of vitreoretinal disease. A regular member pays dues, can vote in the general assembly and can be voted into a position on the board of directors. The admission as a regular member requires the recommendation of two active members of the European VitreoRetinal Society. Membership is applied for by written application, which is then decided upon by the board of directors. In case of rejection of the membership application the reasons for the decision must be made known to the applicant. 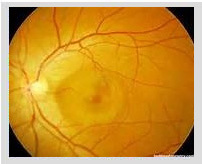 Associate membership is open to medical doctors or scientists who have a completed university education and who have made an outstanding contribution to the field of vitreoretinal surgery or the treatment of vitreoretinal disease and who do not otherwise fulfill the requirements for regular membership. An associate member pays dues, can vote in the general assembly and can be voted into a position on the board of directors. The admission as an associate member also requires the recommendation of two active members of the European VitreoRetinal Society. Membership is applied for in writing, the application is then decided upon by the board of directors. In case of rejection of the membership the reasons for the decision should be made known to the applicant. This membership is open to ophthalmologists who have completed their training in general ophthalmology and who are training in the field of vitreoretinal surgery or the treatment of vitreoretinal disease. A member in training pays reduced dues as decided upon by the general assembly, and cannot vote or be elected. Such membership is limited to a period of 3 years after which the member must decide, whether he wants to apply as for regular or associate membership. Regular or associate members who have retired from active professional life can on application become senior members. A senior member does not pay dues, vote or be elected. The board of directors may elect anyone to be honorary member who is considered to have made an outstanding service to the European VitreoRetinal Society or contributed significantly in the field of vitreoretinal surgery or the treatment of vitreoretinal disease. An honorary member does not pay dues, and may not vote or be elected. Members accepted to the European VitreoRetinal Society must agree to abide by its statutes. In case of a change to the eligibility as outlined in a) to e), members are expected to inform the board of directors of the European VitreoRetinal Society. Membership ends with the death of the member, by voluntary resignation, exclusion from the European VitreoRetinal Society or loss of medical license in the case of regular members. The obligation to pay past dues does not end with the termination of membership. Resignation from membership should be declared in writing to the board of directors. Resignation is only possible at the end of a calendar year and must be declared at least one month before that time. A member can be excluded from membership by a decision of the board of directors if he or she has acted against the interests of the European VitreoRetinal Society or brought the society into disrepute. Before exclusion the member would be given the opportunity to answer the grounds for exclusion. The member would be given a period of at least two weeks to respond. The reasons for exclusion from membership would be given and the member would be informed of these by registered mail. The member has the right to appeal to the general assembly for revision of the exclusion decision. The appeal must be submitted to the board of directors in writing within one month after receipt of the decision. Any appeals will be heard and considered at the next regular or extraordinary general assembly. The membership will be suspended in the interim, whilst the appeal is being considered. The member has the right to make his or her appeal in person to the general assembly. If an appeal is not submitted in time, then the decision by the board of directorsshall be effective. If the general assembly upholds the exclusion decision, the membership ends. A member can be excluded from membership if he or she has failed to pay the society’s dues in reasonable time. Yearly Membership fees are collected in accordance with a fee schedule decided upon by the general assembly. Senior members and honorary members are exempted. The Organs of the European VitreoRetinal Society are the board of directors and the general assembly. The board of directors consists of the president, the vice-president, the secretary, the treasurer, a representative of the American Society of Retina Specialists and two additional committee members, and, furthermore, by virtue of his office the managing director of the EVRSC s.a.r.l.. The president, vice president or their deputy can call a meeting of the board of directors. The meetings can be attended by members of the board in person or via a teleconference facility. The board of directors is quorate when at least 2/3 of the board members participate in the meeting. Decisions are passed by a simple majority. In the case of a tie vote the President has the casting vote. Minutes have to be kept at board meetings. The president or the vice-president if the president is unable to do so represents the European VitreoRetinal Society in courts of law as well as out of court. The case of the President’s prevention does not have to be demonstrated when the Vice-President is working. The board of directors runs the affairs of the European VitreoRetinal Society, it administers and allocates the financial resources of the European VitreoRetinal Society. The board of directors works on an honorary basis. Expenditures are reimbursed. The tax laws will be observed in respect to reimbursement. The treasurer will keep a proper record of revenues and expenditures. Cheques and Postal orders will require joint signatures of the treasurer and one other member of the board. The members of the board of directors are elected by the general assembly and hold office for a period of two years renewable for a further 2 years. Members of the board of directors must be regular or associate members of the European VitreoRetinal Society. The office of President or Vice President must be held by regular members of the European VitreoRetinal Society. The board of directors stays in office until reelection. A position on the board of directors ends with the termination of membership. Each regular and associate member has one vote in the general assembly. The vote may not be transferred to other members. The regular assembly must convene at least every two years. The place where the general assembly will convene must be announced by the board of directors at least 6 months in advance. The general assembly is called together by the board of directors at least 4 weeks in advance. The minutes of the meeting must be included in the invitation. The general assembly is conducted by a member of the board of directors. The minutes of the meeting must be amended if a member makes a motion to that effect before the start of the assembly. The general assembly has a quorum if it has been called together correctly. Decisions of the general assembly are passed by a simple majority from the assembled members with voting rights, unless stipulated otherwise by the statutes of the European VitreoRetinal Society or the law. In case of a tie the chair has the casting vote. Changes to the statutes must be passed by a 2/3 majority of the assembled members with the right to vote. In counting the votes only the votes of the assembled members with a right to vote may be considered. The board of directors may call an extraordinary meeting of the membership. The board of directors must call such an extraordinary assembly when one third of the members demand such a meeting in writing stating the reason. In this case the members must be called together in writing, with inclusion of the minutes at least one week before the day of the membership assembly. Important and urgent decisions may be put to the membership if necessary by the board of directors via email, fax or mail, and the members respond by the same means. The decision of the members is valid if at least 1/3 of the members have returned a decision. Changes to the statutes are exempt from this. Minutes must be kept at the general assembly. These minutes must be posted on the web site of the European VitreoRetinal Society at the latest 2 weeks after the meeting. Two internal auditors elected by the general assembly for 2 years examine the financial dealings of the European VitreoRetinal Society for correctness. Such examinations must be performed at least once a year. The results must be presented to the general assembly. Internal auditors may not be members of the board of directors. Special committees are formed by resolution of the general assembly to assist the board of directors and the general assembly in important decisions. Their chairmen are designated by the board of directors. The dissolution of the European VitreoRetinal Society can be decided upon by the general assembly with a 3/4 majority of the vote. Quorum is only established if 2/3 of all regular members are present. The invitation to such an assembly must have been posted in writing at least four weeks before the meeting with inclusion of the minutes of the meeting. If no quorum can be established a second meeting must be called again with 4 weeks advance notice. This meeting can then decide without regard to the number of members present. This fact must be mentioned in the invitation. In case of dissolution the remaining financial resources of the European VitreoRetinal Society shall be transfered to the Christian Blind Mission (www.cbm.org).